It’s a confusing picture in the courier market, with revenues faltering despite the online retail boom. Widespread customer dissatisfaction means business is there for the taking for reliable, innovative upstarts. Despite the boom in ecommerce, the Australian courier industry is facing some difficult challenges. Somehow the sector has failed to fully exploit the explosion in online delivery and sector-wide revenue has dipped in the last couple of years by -2.8%. The slowing Australian economy is one issue. More important, perhaps, is the fact that so many online purchases are for non-physical items like cloud storage or streaming services. But the story of chiropractor Veli Solyali arguably sheds light on the biggest issue. Through his company Get Well Bedding he uses couriers to deliver specialist mattress and pillows to customers. But his experience with the industry has not been positive. “The first courier company went bankrupt and the second courier company has been an absolute disaster," Solyali told the Sydney Morning Herald. "They have cost me at least $750,000 all up in damaged goods, not delivering, cancelled orders and legal fees. “The stress has been so much that doctors think I have had a stroke." Some customers told him that they helped carry their new bed into their home because the driver turned up without help. Delivery drivers might be employed by a different company, but the retailers that hire them are nevertheless tarnished by such shoddy service. Solyali also told the Sydney Morning Herald that a forklift “went straight through the mattress" and the courier company’s CEO denied liability. The problems are more than anecdotal. 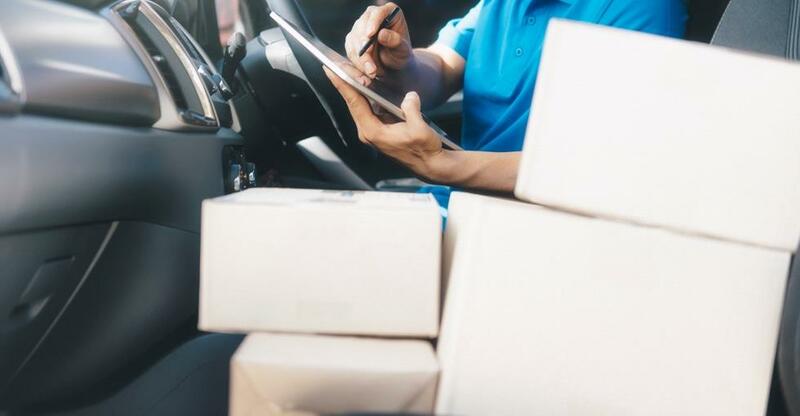 A survey by Canstar Blue found that 28% of small-business owners have reported delayed deliveries, while 10% found their most recently used service as unsatisfactory. Speed of delivery was, unsurprisingly, the most important influence on customer satisfaction, with complaint handling not far behind. Given such depths of dissatisfaction, any operator that can achieve even a modest reputation for reliability can surely flourish. Most deliveries are shared among a few big players like DHL and Toll Holdings. However, publicly-owned Australia Post eclipses all else, alone accounting for around $3.2 billion of revenues – more than three quarters of the market. But for all its dominance, the postal giant has been widely criticised for ‘failed to deliver’ notes left in letterboxes of buildings that were actually occupied at the time. In a bid to up its game, it has partnered with shipping and fulfilment platform Temando to connect retailers with Australia Post and StarTrack services within their preferred ecommerce platforms. If smaller players find it tricky to break into the consumer-to-consumer market, then IBISWorld’s 2015 industry analysis identified a game-changing development on the horizon: “Potential deregulation of reserved mail markets could benefit couriers over the next five years," it said. Another way to bridge the gap with the big players is to join an established, recognised brand yourself. Buy a franchise and you benefit from training and support, your own exclusive territory and tried-and-tested processes and technology – vital in a business where time is of the essence. Read our interview with a Fastway franchisee to find out more. The courier and delivery industry transports items of up to 30kg to businesses, organisations and residential addresses. If driving around, aided by satnav, sounds appealing, then don’t overlook the challenges. If you’re a multi-van operation then coordinating and tracking a fleet of drivers is rather more complicated than managing an office-based staff. Then there’s one of modern life’s biggest frustrations: traffic. A courier business thrives or flails by the punctuality of its deliveries. Delivery deadlines are everything. Being organised, having effective systems in place and being innovative, while noticing small details, are all critical to forging a reputation for reliability. A warehouse reorganisation could reduce incidences of lost items, new order management software could get packages out faster, reorganising drivers’ territories could cut petrol costs and get packages delivered quicker. Every now and again a courier company identifies a more dramatic innovation that transforms its fortunes. Drones anyone? From spoiled birthdays to furious retailers, there’s a lot riding on timely delivery. Social media and online review sites have made the trade much more of a meritocracy. No amount of clever advertising can compensate for poor service delivery – because word will get out. Another fundamental part of service delivery is packaging and handling items for delivery carefully to avoid in-transit damage. The courier business is a fast-paced, pressurised environment. Those with a cool head, a talent for honing business processes and a passion for innovation can excel. Up for it? Browse our courier businesses for sale. From upgrading your van to optimising SEO, we examine some practical considerations around running a courier business. Are you making the right decisions to thrive in a crowded marketplace? Online shopping is growing so it seemed the perfect fit for Fastway Couriers franchisee, Abdi Waeis. A courier business can be an inexpensive way into the trade – but not necessarily good value if you’re simply getting a van and a brand with no traction.